As the show and Chuck got deeper and deeper into the spy world, critics wondered why they insisted on tethering the action to the Buy More, the pseudo Best Buy in which Chuck and the gang maintain their cover identities. To the critics we say: The show would be nothing without the hilariously ridiculous antics of the Buy More, specifically the hare-brained comedy duo of Jeff and Lester. 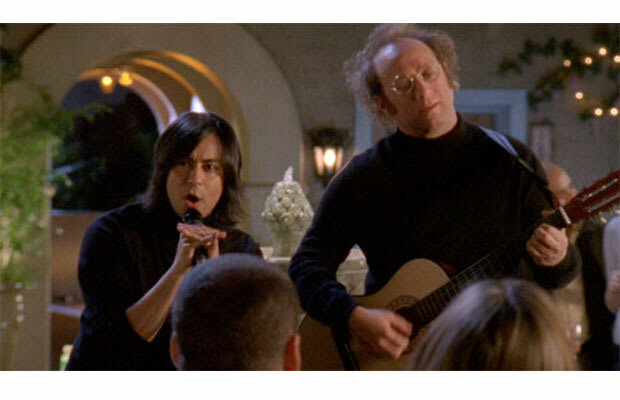 Their most memorable contribution to the series was Jeffster!, the godawful cover band that they would sometimes moonlight as, usually to hijack events such as Chuck's sister Ellie's wedding. Their encore in the season night's finale was perhaps the greatest fan-service that the episode delivered.